When asked, Shannon resists the notion that she's giddy with kung-phooey roles, despite the volumes of glistening reviews penned by Asian journalists in the past few weeks. "In the beginning I thought why can't we do something different? I'm excited by the idea of doing a tender, quirky love story. But at the same time, for my first major starring film, it's a nice way for the public at large to make the connection, especially in a region where people seem to think I'm family." Right now Shannon is consumed by her new image as the next Asian superheroine. 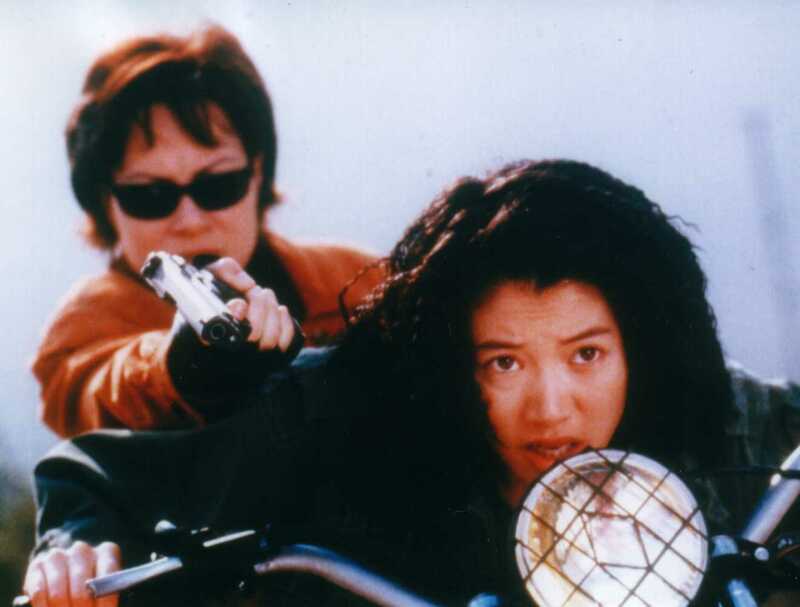 She wipes out Michelle Yeoh and Cynthia Rothrock, two high-profile martial artists who lifted up skirts and busted chops in an otherwise male-dominated action genre. 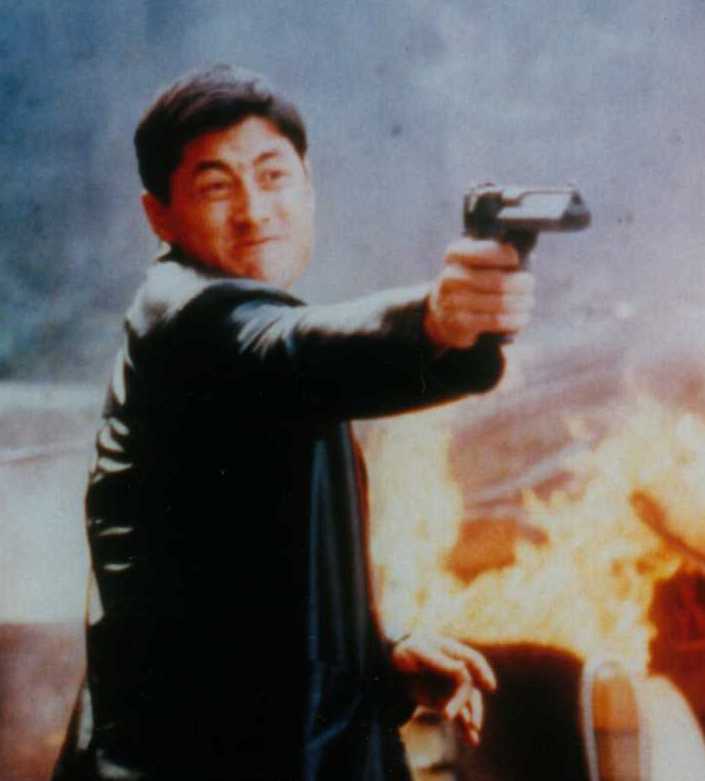 The Hongkong film industry had scarcely recovered from their recent escape to Hollywood - Yeoh was tabbed as a Bond Girl while Rothrock returned to the Los Angeles scene after two decades in Asian film - when Shannon came along from the other end of the globe and tipped the scales. In Enter The Eagles, she describes her character as a "violent, single-minded, hostile woman who never met a man she couldn't handle". The intense brutality that perpetrates the movie plot doesn't faze her in the least. Shannon reveals that the body count is a trivial issue, adding that "I am not necessarily a person who feels that you need to censor everything, and people should decide for themselves if they are interested to see a violent film or not." One quickly learns that this disarming tactic is quid pro quo for a woman used to being taken for granted. She is unrepentant for the years spent cultivating anonymity. "I've had a lot of offensive things said about me in the past, how I wanted to hide from the world and this legacy that everyone keeps referring to," she says with a ambivalence that comes from nursing a wound for too long. "This film is violent, but so is life in some parts of the world. "Besides, I agreed to the gunplay because I understand guns a lot better than most. What's interesting is that I've separated real violence from make-believe. Because of my brother's accident I am always very careful." Indeed, a combination of time and self-healing have completely divorced Shannon from the phenomenon that was Brandon Lee, her brother. In 1993, while filming the ilk-ridden gothic horror flick The Crow, 28-year-old Brandon was killed when a blank shot fired by an unwitting member of cast turned out to be live ammo. It was one of the most terrible tragedies in movie-making; news of his wasted death reverberated around the world, sending the sceptics into quivers, as they scurried around tabernacling the fall of the Lee dynasty. Like his father, Brandon died under a shroud of mystery. Historian John Little, who publishes the feared Jeet Kune Do magazine in the States, considers the shockwaves akin to a unanticipated earthquake within the Los Angeles Chinese-American community. The male line had been irrevocably broken. Confucian ideal dictates that Shannon - being a girl - is unworthy of the bloodline. Brought up far from such niggling beliefs, she doesn't care. On the other hand, the demise of the last male member of her family was a numbing personal experience. "I was living in New Orleans at the time," she relates, "and my mom called me in the middle of the night saying there had been an accident. At the time we didn't know how severe it was. My brother was very accident-prone growing up as a child, so we assumed he had bumped or skinned himself again." The predilection for disaster couldn't be farther from the truth. Brandon died during the night, surrounded by his weeping family. Perhaps Shannon should heed the ancient Chinese death curse that pundits are acrueing to the untimely tragedy. It's widely believed that Bruce Lee incurred a dreaded 3-generation hex when he bought a condemned property in Hongkong a few years before his 'death by misadventure'. The grievous touch seems to be reaching out for every Lee who attempts cinema, until the last one falls. Is Shannon anxious about being shortlisted as the final victim?